If Michael Lewis was to pen a 1,000 pager on the philosophical disposition of ants, that treatise would undoubtedly stand on top of the bestseller pile. Ushering in an Avant garde style of writing that has technology for a back bone, intuition for a brain and an indomitable imprimatur that breathes life into the overall structure, this phenomenal author has regaled his audience repeatedly over the course of many years. 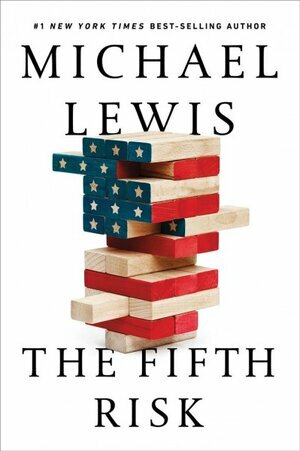 While his latest book “The Fifth Risk” (“the book”) is no exception, it however marks a significant departure from his erstwhile books. This book is an exception in spite of not being one! “The Fifth Risk” is a paean to the unsung, a deification of the unseen and a tribute to the unassuming. These stellar characters comprise the multitude of non-decrepit men and women who form an integral part of the American federal work force. It is this very bunch of selfless heroes who have been totally neglected by the Trump administration. When the Trump administration finally showed up, it was an unparalleled exhibition of utter disaster. Not possessing the requisite security clearances, some of the Trump officials displayed blatant disinterest and flagrant disregard. For example, the U.S. Department of Agriculture staffers had prepared 2,300 pages of materials, but the Republican staffers failed to show up until a month after the election, and when they showed up, they were just HIM – yes just a solitary individual. Demonstrating a blatant and myopic ideology, the Trump administration queried the Energy Department for lists of staffers who had worked on climate change, or going one regressive step further, instructing the USDA to stop using the term “climate change” altogether. “The Fifth Risk” is a rousing story of an unfortunate disconnect between honesty and haughtiness. It is also the chronicle of a discord that has at its edifice the very future of a population constituting the largest democracy on the Planet. More than everything else it is a brilliant demonstration of the obnoxious trajectory that an ideological administration is set upon to the overall detriment of an entire nation. The entire book can be encapsulated in a paragraph where a visibly upset and raging Trump goes ballistic upon being informed that his transition planners were raising funds to pay for staff. “You’re stealing my money! You’re stealing my f—ing money!” Trump screamed at a befuddled and bemused Chris Christie. Yes, there has been a theft. But as Lewis brilliantly illustrates, it has been a theft of confidence, a pillaging of conviction and a pilfering of caution. Right now American democracy is unfortunately deemed by a prejudiced Trump leadership to be one, by the ignorant, for the ignorant and of the ignorant. “What do those beautiful shapes signify Mama?” asked nine-year-old Ashita in a voice tremulous with excitement. Even though the essence of the moral was lost on Ashita, she felt a swell of pride towards her mother.